This is currently one of our most popular upgraded units and is used on many of the mid to low 8 sec cars we build. It uses the proven 11 to 14 Plate Dodson Promax Clutch setup with our custom tweaks. Has been used down into the 7.6@192 range! The PPG or Dodson Extreme 1-6 Gearset is used in this package and power handling is over 1800 Wheel HP and 1400 Ftlb of Torque. 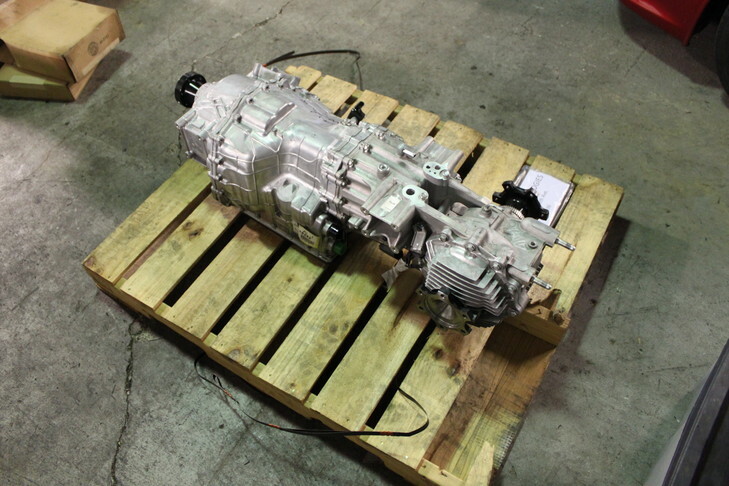 This transmission has gone as fast as 7.62@192 mph in our shop GTR without missing a beat. Potentially 6 sec capable. Sold with a lot of extras not listed, and can be configured based on requirement. You will have to speak with us before ordering this unit as we need specific details on what you are trying to do.